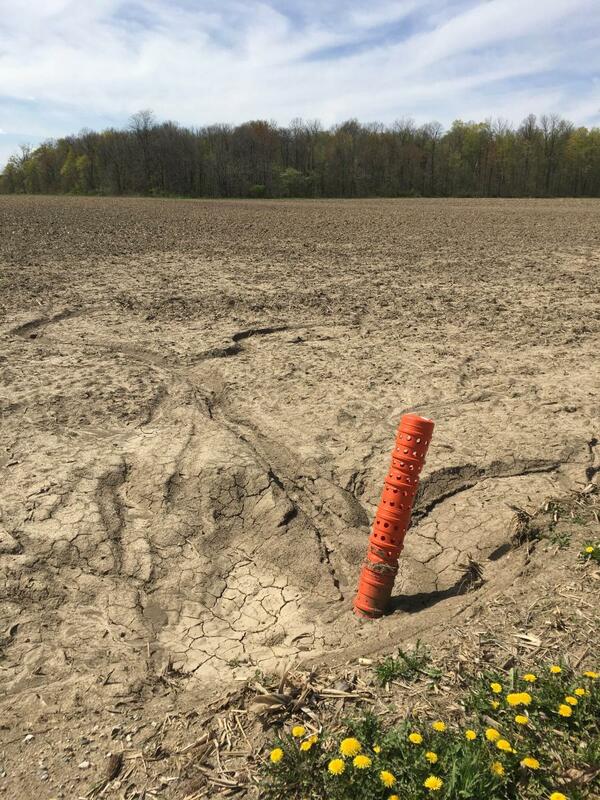 Natural and man-made surface drainage features in a landscape can direct water to the edge of the field or to installed features such as tile risers or catch basins. Catch basins are often found at the edge of a field, directing surface water to a tile or to a receiving drainage channel. 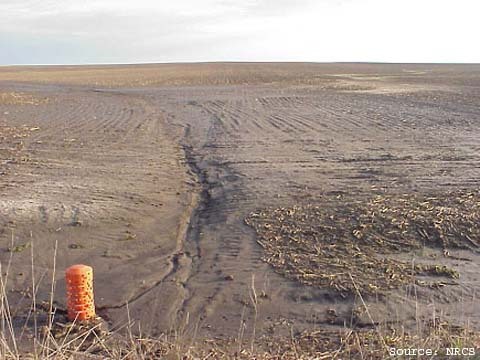 Runoff associated with bare ground areas that direct water to surface inlet structures should be evaluated for concentrations of nutrients and sediment. Water quality might improve by using grassed waterways or other vegetated areas to filter sediment. Other practices, such as blind inlets, that take advantage of a soil’s natural filtering capabilities can also be beneficial.